A Customer of one new generation Bank has reported a suspicious transaction of N.9m (nine hundred thousand naira) to the Economic and Financial Crimes Commission (EFCC). Head Media & Publicity of the commission, Wilson Uwujaren, made this known in a statement on Monday in Abuja. “The Economic and Financial Crimes Commission, EFCC, has recovered a sum of N900, 000 mistakenly deposited in an account of a customer in a new generation bank. 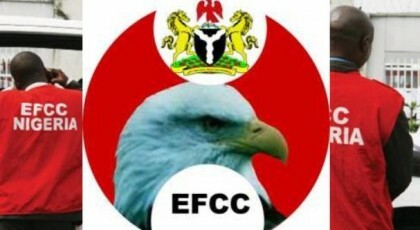 “The customer, Aliyu Usman Tilde, who owned the account having done no business with anybody to warrant such credit in his account, reported the suspicious lodgement to the Gombe zonal office of the EFCC. “The EFCC through discrete investigation discovered that the money belongs to a law firm that was engaged by the Federal Ministry of Justice in a case that involved a former staff of Federal Ministry of Foreign Affairs. “While commending the patriotism of Tilde, the EFCC calls on the general public to emulate such honest attitude by reporting suspicious lodgement/transaction to relevant authorities.” He said.